Having trailed by a set and a break, Williams looked to have powered her way out of trouble when she moved 5-1 ahead in the deciding set. But, incredibly, Pliskova won six games in a row to set up a last-four clash with Naomi Osaka, saving one match point at 5-1 and three more at 5-4. The Czech was rewarded handsomely for her bravery on the big points while Williams appeared to struggle with her movement after jarring her left ankle on the first match point. Pliskova, who is in the running to finish the tournament as world number one, said: “I was almost in the locker room but now I’m standing here as a winner so it’s a very good feeling. My mind was in the locker room. It was tough because she was really playing well. After Osaka’s victory over Elina Svitolina, the script appeared to be written for a rematch of her controversial US Open final victory over Williams. The American has looked fitter and sharper here than she did last season, with coach Patrick Mouratoglou saying she was mentally and emotionally ready to win a 24th grand slam singles title, finally equalling Margaret Court’s record. Williams lost to Pliskova at the US Open in 2016, with the 26-year-old reaching her only slam final, but beat her in New York last year having made a sluggish start, a pattern that was repeated here. Williams trailed 3-1, saved four break points to avoid going 4-1 behind but this time could not find a response in the opening set, and the 16th seed looked in trouble when she was broken for 3-2 in the second. However, Williams at last got her feet moving and responded straight away before stepping up her aggression to level the match. All appeared to be going smoothly in the third set for Williams as she moved 5-1 ahead and held a match point on her own serve but, after being called for a foot fault, she jarred her left ankle and was broken. She still had a good cushion but, when Pliskova won a third straight game to get back on serve, it seemed the unthinkable comeback might be on. The seventh seed then passed a huge test at 5-4, trusting her big forehand and saving three more match points. Suddenly the momentum was all with Pliskova and, although Williams saved two match points herself, a netted forehand on the third brought the most dramatic of afternoons to a wholly unexpected conclusion. 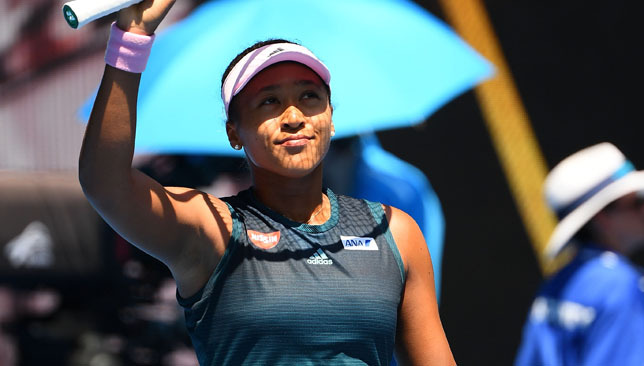 Naomi Osaka extended her winning grand slam run to 12 matches with a dominant victory over Elina Svitolina in the quarter-finals of the Australian Open. The US Open champion has taken the increase in expectation and attention in her stride and needed only an hour and 12 minutes to wrap up a 6-4 6-1 win against the sixth seed, who struggled with a neck problem. Osaka could now face a rematch of the controversial New York final against Serena Williams, who takes on Karolina Pliskova in the second semi-final. Speaking on court, the 21-year-old said: “I tried to be consistent, or as consistent as I can. She’s a really great player. It’s kind of unfortunate that she got injured. Playing against her even if she was injured was still really tough. Osaka had survived three-set clashes with tricky duo Hsieh Su-wei and Anastasija Sevastova in the last two rounds and looked much more comfortable against the more conventional game of Svitolina. The Ukrainian, looking to move beyond the last eight at a slam for the first time at the fourth attempt, began 2019 with the confidence from winning the biggest title of her career at the WTA Finals last October. Svitolina broke Osaka when she served for the opening set at 5-3 but her second serve was taking a pounding and, although Osaka missed wildly on three set points, she converted her fourth. The fourth seed’s record in matches after winning the first set is astonishing – she has now won 58 straight dating back to 2016 – so Svitolina was clearly up against it. And the Ukrainian simply could not find a foothold in the match. She took a medical time-out at 0-3 in the second set to have treatment to her neck and shoulder, an issue that had bothered her in the third round against Zhang Shuai, but there was no way back. Boris Becker has urged Andy Murray to have hip surgery and believes the former world number one can get back to the top of the game. Murray tearfully announced on the eve of the Australian Open that he was planning to retire this year because of ongoing right hip pain but a resurfacing operation could potentially allow him to play again. There are no guarantees, however, with no singles player having successfully come back from such an operation, and Murray could choose instead to make a farewell appearance at Wimbledon. But Becker, who is working as an expert for Eurosport at the tournament, believes Murray would regret not trying the surgical route. He said: “I really like Andy, I know him well, but I really wish he’s not forced (to retire) because of an injury. I think that’s the worst for an athlete. “So if there’s a possibility medically to get better so he can finish on his own terms, I think it’s vital for him and maybe the rest of his life. Because you will have a big chip on your shoulder. Murray produced an extraordinary performance in the first round given his physical condition, losing over five sets to Roberto Bautista Agut, who went on to reach the quarter-finals. Becker believes that should give him encouragement for the future, saying: “It wasn’t his first tournament after a lengthy lay-off so I wasn’t surprised about the level. 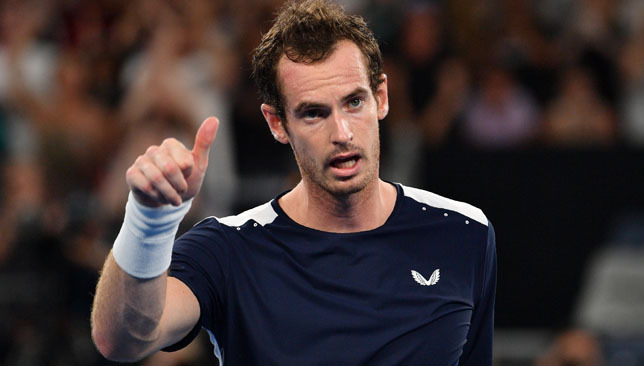 Murray is expected to decide his path of action in the next few days.